Home care agencies frequently mislabel their employees, causing major payroll tax problems. The agency may list the employees as independent contractors, rather than employees of the company, unknown to the home health aides and nurses. These employees would, in turn, file the incorrect documents when filing their taxes. And worse, the very people who need to have their taxes withheld throughout the year are often faced with taxes due when their returns are filed. 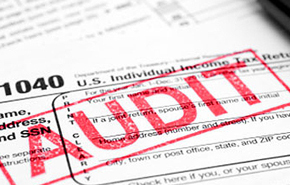 This mislabeling can further lead to audit findings, tax liability, even possible criminal charges. Location of where the services are performed or managed. Because they typically have zero control over most of these factors, the home health aides should be treated as employees. In a low-paying field like home health care, being labeled as an independent contractor can lead to tax issues for the employees. An independent contractor should be periodically paying taxes throughout the year to avoid a huge tax liability at the end of the tax year. Employees in this field may not have the financial ability to do this. If the employer knowingly mislabels employees as contractors, this act could be considered payroll fraud. At a minimum, the employer would face an IRS penalty equal to the amount of taxes that were deemed “should have been withheld” from employees’ pay. In other words, the employer risks paying much more than just the workers’ hourly pay. Our work in IRS representation has seen many of these cases. One recent case, handled by the IRS office in Matteson, IL revealed again that this happened to another agency, which was forced to close based on the unpayable tax penalty. In many states, such as Maryland, North Carolina, and Pennsylvania, courts have found that home care agencies have violated the law by listing their employees as independent contractors. Many companies are now changing their ownership structure to reflect the deteriorating views on the independent contractor model. This is a benefit for the employees who previously may have had a huge tax burden because of this miscategorizing. Something else to consider, however, is that those workers may also become eligible for employer-paid benefits that come with being treated as employees. We believe this will eventually be a nationwide standard for the home health industry. By: Shavonne Taylor and Jeffrey Anton Collins. Ms. Taylor is a Law Case Manager and blogger at Tax Law Offices. Mr. Collins is a Tax Defense Attorney, formerly with the IRS. Call a tax resolution professional you can trust today!